In this frosty weather, it is important that we take enough care of our children to keep them warm and healthy. Winter can be a fun time of year, but when it’s cold outside and you’re not prepared, the season can be an absolute wreck. You do not have to worry much as we have some tips to keep your kid warm and healthy in this chilly weather. >Dress them in layers: The most significant thing is to make sure your kids are suitably dressed. 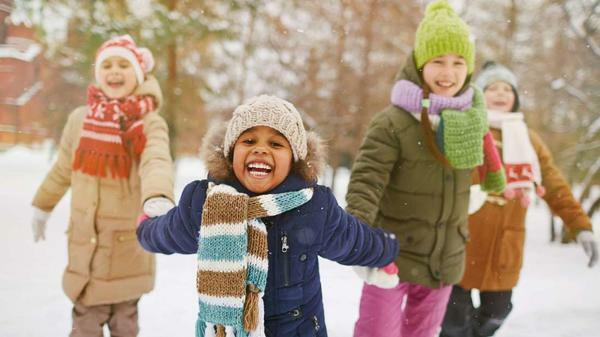 Dress up your kids in warm layers preferably made of fabrics other than cotton. >Keep them hydrated: It is very important to stay hydrated in winter. When you are outside in the cold and inhaling hard, you lose a lot of your water through your breath. Warm drinks and soups will keep your child hydrated and heat up their insides when it’s cold. >Encourage your child to wash hands: Encourage your children to wash hands with soap and warm water after coughing or sneezing. Also, teach them to keep their hands away from their face and sneeze or cough into a tissue or her elbows to avert getting affected from cold, flu and infections. >Don’t forget winter accessories: Remember warm boots, gloves or mittens and a hat, which make a big difference in keeping young children and babies comfortable. So, follow the above tips to keep your kid warm in this frosty winter. Bad Breath: Facts Or Myths?